Founded by Bimal Prakash Jain in 1970, the 'R'- Rishabh' group is an enterprise headquartered in India, and comprises over 4 operating organizations. Good enthusiastic team is lead by Group's Chairman Mr. Rajinder Pal Jain who is a veteran in the Industry and President Mr. Vinamra Jain. As a result of this unique blend of heritage with young & dynamic ownership structure, ethos of the organization is always the first for all businesses of the Group. 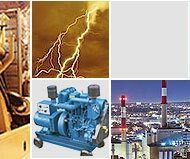 The 'R'- Rishabh' Group through its various organizations is engaged in the manufacturing of Diesel & Gas Generators, Solar Panels, Turnkey Power Solutions, Acoustic Enclosures, Sound Proofing, Noise Barriers, Electric Panels, Pumping Sets, Portable Toilets, DG Sets on Rental, Transformers & Servo Stabilizers. Rishabh Engineering Company [REC] is the flagship organization of the 'R'-Rishabh' Group. Incepted in 2003 REC offers a host of engineering solutions and services. REC is one of the largest manufacturers and suppliers of Diesel Generating Sets in the region covering a range from 2.5 KVA to 2000 KVA. 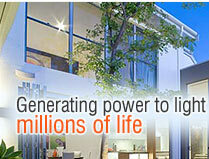 REC is already 'Illuminating the Lives' with installations in conventional energy exceeding 1000 Mega Watt. REC undertakes total turnkey contract for captive power station installation with D.G. Sets from "concept to the commissioning stage" which include Design, Manufacture, Supply, Erection, Testing and Commissioning with an auxiliary Mechanical and Electrical Sub System. 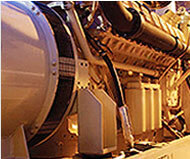 REC is engaged in the manufacturing of Diesel & Gas Generators. REC is the GOEM of 'TATA' powered 'RISHABH' Silent generators. REC is also engaged in the manufacturing of Soundproof Acoustic Solutions / Enclosures, Noise Barrier Walls, other Sound proofing solutions, Electrical Control panels including Power factor panels, LT Control Panel, Power Distribution boards & AC Drive Vector Control Panel. REC is in conjunction with the vision of India to be a clean country and our product "Swatch-Lo" which are portable toilets are in line with this vision. REC boosts of having won "UDYOG PATRA" award in 2010 for its organizational excellence. The 'R'- Rishabh' group's core purpose is to improve the attribute of vivacity of the societies it serves, through long-term value creation based on quality with trust. We also manufacture Mobile Flood Lighting Towers that are manufactured in various models and they are useful at road construction and maintenance, civil engineering projects, airports and dock, open cast mine, emergency services, public events and similar application. They are mounted on two wheel trailer and designed for towing speed of 40 Kms per hour. Furthermore these machines have very low noise level and may be designed to meet your specific needs for on-site light requirement. Count on our experience and diversity to ensure you get the best in competitive pricing, easy delivery and prompt after sales services support. We have been offering diesel Generators, Silent Diesel Generators & Transformers/ Servo’s on monthly & annual rental basis. The digests are available on rent from 5 Kva to 1000 Kva on the contractual basis. ‘Rishabh’ a pioneer in rental power has provided Rental power solutions to an array of customers. The digests available on rental are branded gets which consume least diesel & are either new or almost new & well-maintained dg sets. DG Sets with spot lights, focus lights & Flood Lights are available for rent which can be used for Construction purposes, disaster management etc. These DG Sets are mounted on two wheel trailer and designed for towing speed of 40 Kms per hour. Furthermore, these machines have very low noise level and may be designed to meet your specific needs for on-site light requirements. As Rishabh Engg. Co. in an ISO 9001:2008 accredited company we follow strict quality practices through out our systems & products. The quality management is the essence of the company. Rishabh Engineering started manufacturing 'ShriVardhman' power generator in 1979. Eight years of direct export experience since 1980 - 87 has enabled the company making timely deliveries. Rishabh Engg. 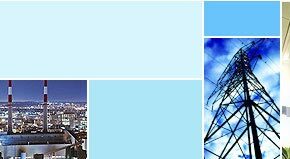 Co. is a well- known organization with a professional and powerful team consisting of personnels with proven skill related to electricity generation by means of generators. The categorization of various departments like Service & Maintenance Department, Projects Department, Tender Department, Retail sale department, Marketing department, Quality Assurance department etc. ensures customer centric approach. "Rishabh Engineering" is a name of trust which could be put to any job, any field, Industries, Hospitals, Clinics, Beauty Parlors, Hotels, Restaurants, Clubs, Theaters, Building complexes, Houses, Shops, Service Stations, Farm House, Tent - house, etc. and other broad applications. We have recently diversified into the Dial Pad Internet Telephony services as well as Accessories. After the advent of Internet and e-commerce which has finally blurred the distinction in domestic and international economy, the business today is truly global, in which only the best running on the track of international standards can hope to survive and we, at Rishabh, are committed to adopt the changes of the ever changing economies of the world. M/s Mangalthirth Estates M/s Delhi Metro Rail Corp (ABB Ltd) M/s Patni Computers Ltd.
M/s Ranbaxy Ltd., M/s Renuka Sugars M/s Siemens Ltd.
M/s Parsvnath Developers Ltd. M/s HDFC Standard Life Insurance Co. LTD. M/s Amalgmated Beans Coffee Trading Co. Ltd.
M/s DHL Exel M/s Ansal Housing & Construction Ltd M/s Omaxe Constructions Ltd.
M/s Religare M/s Punjj Lloyd M/s Karvy Consultants Ltd.
M/s Lacoste M/s Hamdard Wakf Laboratories Ltd.